People love big statues, you can't deny it. And this is a big hand statue! 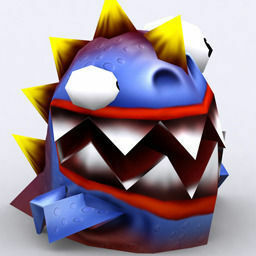 But this Animated Hand Statue is not just a simple decorative object, it suddenly moves and attacks your player. He/she will be like: Hey this game is cool, even environment objects wake up and attack me! Your game needs interesting things, and this asset is definitely one of them! Comes fully animated and formatted for use in Unity and other engines with diffuse, normal, specular texture maps and many game-ready animations. Features: Fully rigged, textured and animated. FBX format (split animations version included) MAX format for customizing Unity package included iClone 5 ready character avatar and motion files. Other formats: b3d, dbo, dae (Open COLLADA), blend (Blender), ugh (fragMotion), ms3d, mdl (3DGameStudio), smd, X, mesh-skel-mtrl-gfx-anim (Esenthel). Polygon count: 4426 triangles. Textures: diffuse maps, normal map, specular map.